Whether you are looking to begin your yoga teaching career or to improve your skills for your own enjoyment, Midtown’s expert instructors will provide a rich and transformative yoga learning experience designed to help you reach your goals. This introductory component of the 200-hour training program includes lecture, discussion, and hands-on training. A born seeker, Aimée discovered yoga and meditation in high school. While studying abroad in the ashram of Gurumayi Chidvilasananda, she met her two most significant mentors: John Friend and Douglas Brooks. 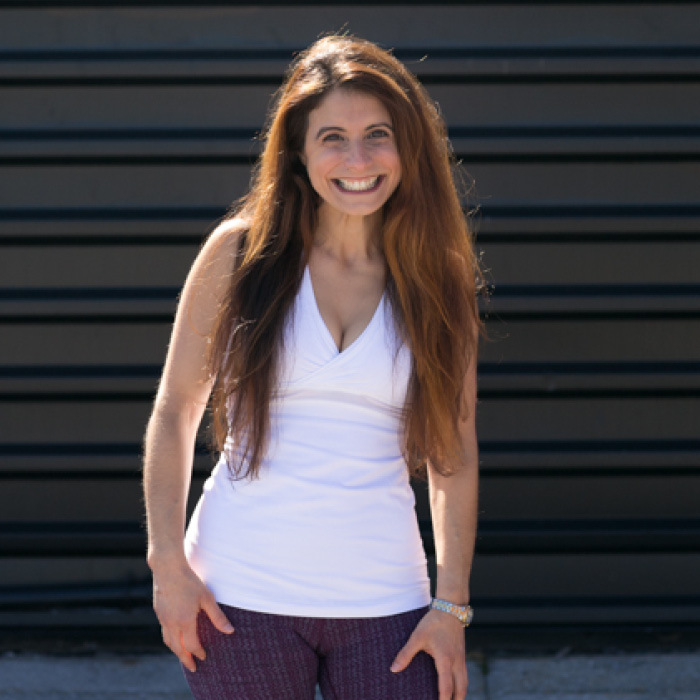 That precise pairing of exacting asana and influential philosophy defines Aimée’s style of yoga teaching that she brings to every class she teaches. Using inspiring teachings encountered from philosophy, life and yoga lore, Aimée works hard to weave movement and words, guiding students through the practice and within themselves. She deeply wants students to know that there is nothing confronting any of us that we can’t shift in significant ways by skillfully using our thoughts, our bodies, and our hearts. For more information and to register, contact Randi Lattimore at randi.lattimore@midtown.com. Space is limited. A $500 non-refundable deposit is required at time of registration. Payment in full is required one week prior to participant’s program start date. An early-bird discount of $100 will be offered to participants who pay for both modules in full by July 30, 2018. *Includes access to all Midtown Athletic Club weekly group yoga classes during training. Rather not pay in full? Stop by the club to submit a $500 non-refundable deposit along with your registration. A Service Coordinator will be happy to help. Payment in full is required one week prior to program start date. Space is limited. For more information, contact Cindy Blake at 847.496.2552 or cindy.blake@midtown.com.